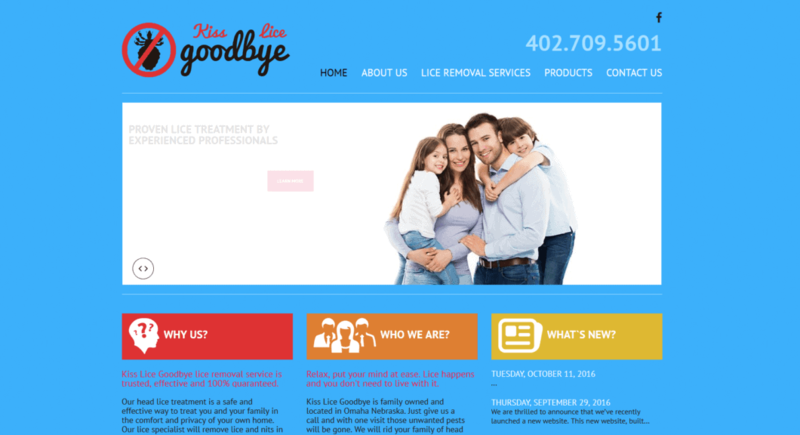 Kiss Lice Goodbye is a local, Omaha venture providing products, services and advice to treat lice in children and adults. This company needed a more effective route to provide information about their products and services to potential customers, so they contacted our Omaha web designers to build a new website. This new website is a pre-built WordPress template solution. The design is customized to match the branding of Kiss Lice Goodbye. This robust WordPress content management system allows staff to update website images and content easily. We wish continued success to Kiss Lice Goodbye and hope this new online platform will help in their online marketing effort. Cross Timbers Surveying, out of Glen Rose, TX, contacted our Omaha web design firm for a new website design, in order to help build credibility. The previous website became infected, and since it wasn’t helping to generate revenue, they decided to build a new website – equipped with a content management system. Cross Timber’s new website it a pre-built WordPress template, customized to fit their branding and needs. After many months of having no website, they realized the real value of a website for their business would be to build credibility. This website is primarily informational – information about their products and team – to generate business and keep prospective clients. We really enjoy the experience of working with long-distance customers and we’re thankful for the opportunity to provide a new website as an online marketing tool for Cross Timbers. As technology, search engine requirements and overall online marketing strategies change, Google Remarketing has proven to be an effective, consistent and cost-efficient form of on-line advertising for our Omaha customers. Google Remarketing is a powerful online advertising tool that allows a business to retarget potential customers who have previously visited the company’s website. This advertising helps increase brand awareness through consistent exposure, drives traffic to websites – considering sales are rarely made upon a first website visit –and consistently proves to produce a high ROI. 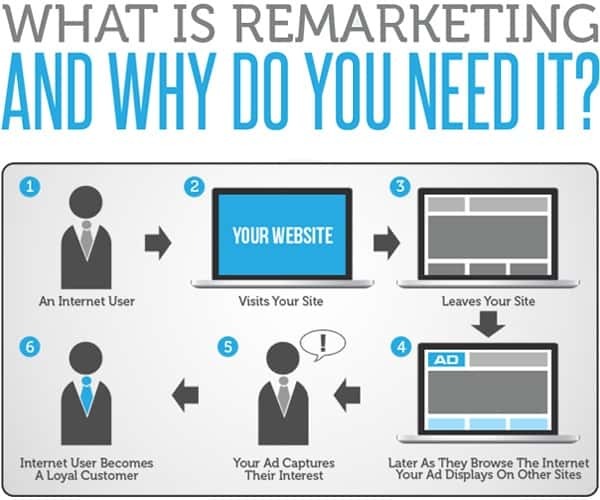 Remarketing allows businesses to reconnect with users who’ve previously been to the website, by showing relevant ads as they browse the web, as they use mobile apps, or as they search on Google. Google Remarketing is flexible, so it can be tailored to advertising goals. For example, a “shopping cart abandoners” list can show ads to users who abandoned their carts. This form of online advertising allows businesses access to users who are most likely to buy – providing a more niched advertising than previously available. The personalized, consistent and affordable exposure Google Remarketing provides has proven to boost website sales and inquiries. In fact, our Omaha internet marketing team has seen these proven results repeatedly for our own company, and for our customers. Google Remarketing also provides detailed reporting of how your campaigns are performing, where your ads are showing, and what price you’re paying. Our Omaha internet marketing team can design, implement and manage a successful and professional campaign starting at $100/month, so give us a call today and find out how we can help increase you’re business’ exposure online. experience. After six years of criminal justice and two years working in retail upper-management, Alex brings a passion for helping people thrive and seeing tasks to a successful completion. Alex holds both Sociology and Human Resources Management degrees from Hastings College and hails from the small Western, Neb., town of Ord. 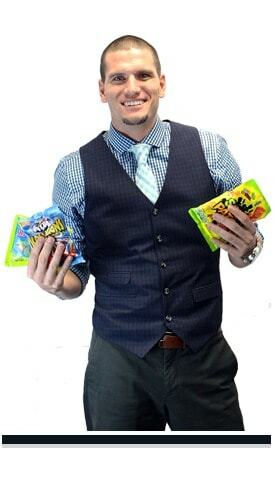 As JM’s account manager, Alex loves to take big ideas and watch them come to life. Putting 110% into every project is the only way he knows how to see everything through, and he feels the joy of a happy client with a successful online tool is well-worth the effort. Alex enjoys spending time with his family. He also loves to spend his extra time with his fiancée – also named Alex (talk about confusing) – and in their downtime they enjoy cooking, movies and playing with their dachshund Cheeto. Blair Title has served Nebraska and Iowa since 1925. With a legacy of excellence and an experienced team, Blair Title finds itself in an extremely busy season. And as more businesses and individuals are in need of their services, they decided to update the look and functionality of their website to better serve their visitors. Nebraska Thespians built a website with our Omaha web design team many years ago – a custom website design with a custom content management system. And while the old website served its purpose, it was time for Nebraska Thespians to update its website design and technology. Midwest Mudjacking has just built and launched their second website with our Omaha web design and development team. Years ago, Midwest Mudjacking came to JM for a custom website design, but with the advent of responsive websites, new design trends and easier content management systems, they decided it was time to redesign. Joseph’s Coat mission is to end hunger in Washington County, and it needed a quality website to gain support and traction for its cause. Our Omaha web hosting team has provided web hosting for over a year to Joseph’s Coat, and recently provided them with a new website design. Paulman Farms, out of Sutherland, Neb., is a family-owned farm committed to sustainable practices, new technologies and innovative concepts. Not ever having a website before, Paulman Farms decided to build a custom website with our Omaha web design team in an effort to build credibility and market their services. Quality Glass & Mirror of Omaha has provided beautiful custom glass work to residents and retails in the Omaha-metro, and around the country, for 30 years. Quality Glass needed a new website for an updated look and an easier ability to make website updates. Cornhusker football season has arrived! And because we love the celebration of all-things red (though our blood runs blue), tailgating and touchdowns, our team wants to celebrate each anticipated Husker victory by giving back to a valuable Omaha organization who supports creative thought-processes and technological advancement. 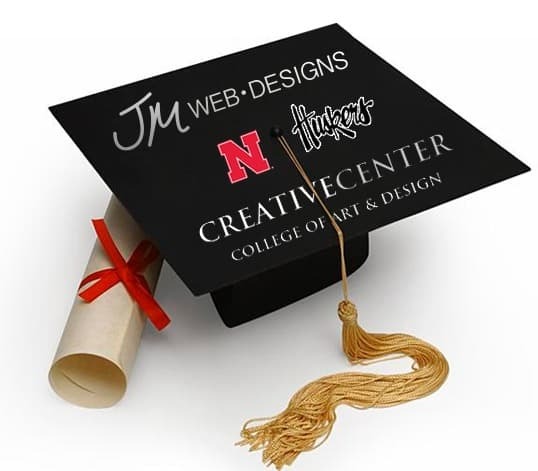 For each Cornhusker victory for the 2016 season, JM will donate $100 toward a scholarship to support a third-year student at the Creative Center in Omaha. Students will apply for this scholarship by creating and submitting a personal website for JM’s CEO and Creative Director to judge. JM has hired and consulted with many talented graduates of the Creative Center, college of art & design. The valuable training and education they provide is a gift to our community and to the creative industries of Omaha. So cheers to many Cornhusker victories in this 2016 season and a large reward for a creative mind!